Fruit; large, roundish and angular on the sides. Skin; greenish ripening yellow, tinged orange next the sun, covered all over with a russet reticulation. Flesh; yellowish white, crisp, juicy, sugary, briskly flavoured. [HP pl.LIX/1878]. ‘This variety is supposed to have been raised by a person of the name of Shepherd, at Uckfield, in Sussex, and has for many years been extensively cultivated in that county, under the names of Shepherd's Seedling, and Shepherd's Pippin, two names by which it is there most generally known. Some years ago a Mr. Brooker, of Alfriston, near Hailsham, in Sussex, sent specimens of the fruit to the London Horticultural Society, by whom, being unknown, it was called the Alfriston, a name by which it is now generally known, except in its native county. By some it is erroneously called the Baltimore and Newtown Pippin.’ [Hogg p.22/1851]. 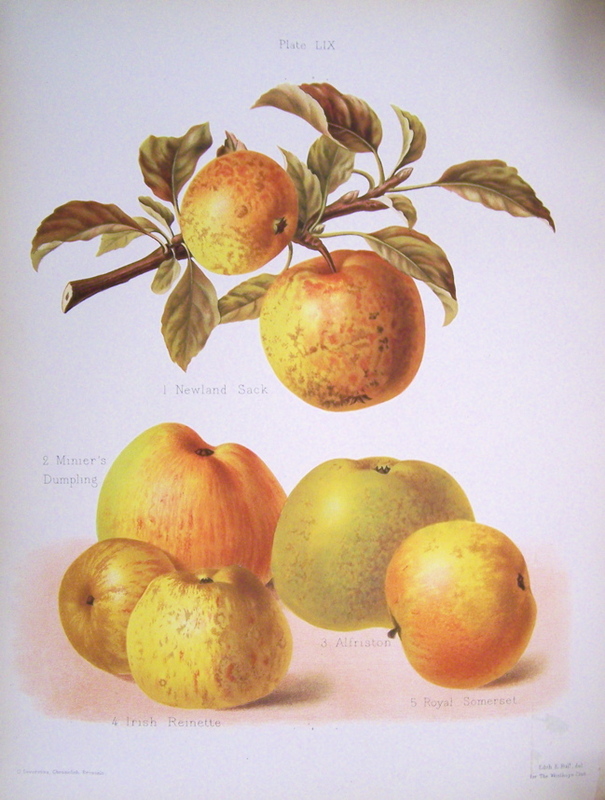 Listed in the 1850 and 1857 catalogues [Apple no.35/1850].